Are retro logos making a comeback? In the past few months, you may or may not have noticed that several prominent UK consumer brands have all made overt bids to revert back to their nostalgic past. Big names are returning to previous versions of their company logo in an attempt to convey their brand’s rich heritage and original charm. It appears a new trend is emerging. Is this the comeback of retro branding? Regressing back to older versions of your branding may seem a risky notion, but with so many brands seemingly losing track of who their brand really is as they attempt to evolve and stay relevent in the digital age (M&S springs immediately to mind), it’s important to note that returning to original brand values can actually help brands re-discover old resources, be re-inspired by their own ethos, and get a better understanding of their true brand assets. Three of the UK’s most loved brands have recently re-branded to reflect their former selves including Co-op, NatWest and Kodak among the most notable. It is a clever use of each company’s branding archive, as well as an ingenious way to uncover their history, portray their brand as iconic and traditional, and appeal to society’s nostalgia of ‘the good old days’. The leading photography brand’s first official trademark was originally designed by Peter J. Oestreich back in 1971, and was utilised until 2006. Over the last 35 years, their iconic red and yellow branding has been used and adjusted into various formats. Well it appears the use of the Kodak ‘K’ is now back and the revived use of it’s vibrant colour palette creates a strong, unified identity across all aspects of the Kodak brand. 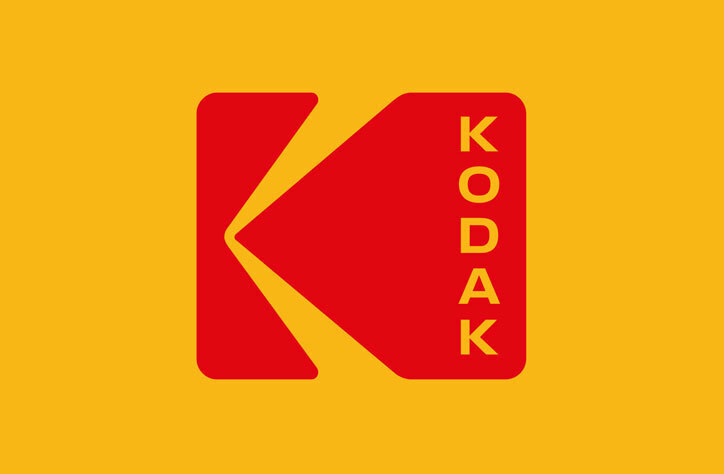 Of course it’s important to note that it’s not exactly the same as the 1970s version, and designer George Eastman’s idea of introducing capital letters allows the logo to capture a modern twist yet reflect Kodak’s long-standing traditionalism. As the UK’s fifth biggest food retailer, the 172 year old Co-op has recently re-branded to showcase the brand’s impressive history. Although originally undertaken as a branding re-design project, The Co-op has returned to its minimalistic 1960s design, citing it as a ‘timeless classic’ that is ‘impossible to beat’. Returning to an identity created over 40 years ago also plays into their new marketing direction ‘back to being Co-op,’ which is set to show immense power on past, current and future consumers. The vintage identity of the Co-op brand is simple yet effective and will take three to five years to roll-out across the entire organisation. Although acknowledging the past was not the original intention for NatWest’s re-brand, the major banking organisation re-discovered many disregarded values of previous branding projects whilst delving into their brand’s archive. As the graphic design industry has taken a more minimalistic approach in the recent years, NatWest had noticed the clarity of their branded cubes has lost the majority of it’s original meaning throughout it’s evolution of simplification. Do you need help re-branding you business? Whether you are a new brand looking for a kick-start into the market, or an established business in need of some fresh (or old!) ideas, contact CuCo today on 01202 911959 or email us at hello@cucocreative.co.uk.